I have always been interested in making things better. I have never been satisfied with the status quo. That being said, I did some research on caulk for our copper sinks. 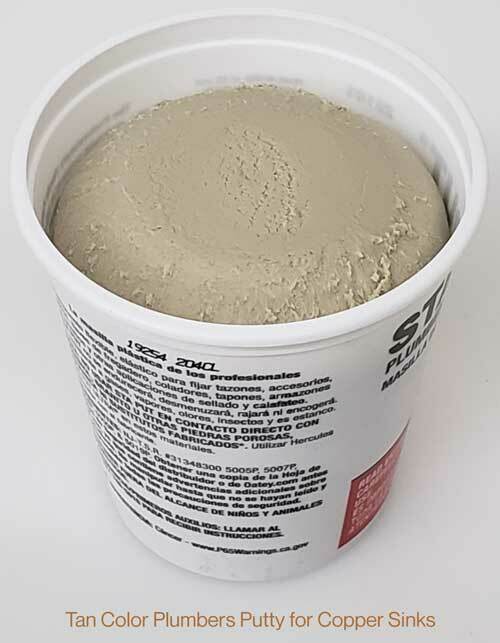 In doing so, I discovered the best type of caulk to use on copper and on granite (or any other solid surface countertop) is an acrylic caulk. If you go to Lowes or Home Depot looking for acrylic caulk you generally have two or three color choices - white, black and almond. 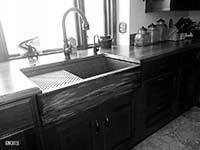 None of which look good with our copper sinks. 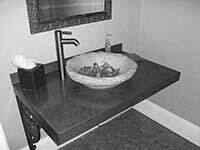 Silicone caulk should not be used with a copper sink, nor granite counter tops. I have been informed that the silicone can leach into the granite and discolor it. I know from past experience that the acids in a silicone caulk will react with copper and turn it green. After an exhaustive search, I found a company that would "color match" their caulk to our copper sinks with their high quality acrylic caulk. We now offer a 5.5 ounce squeeze tube of color matched acrylic caulk. You will not find this in any store! This caulk color is as close as you can get to the color of our natural weathered patina. It is better to over estimate. If you end up with an extra tube, it will last a long time. Caulk may have to be replaced or touched up every year or so if it is in an area where there is a great deal of activity. Don't put a white ring around your copper drain like what you see to the left! 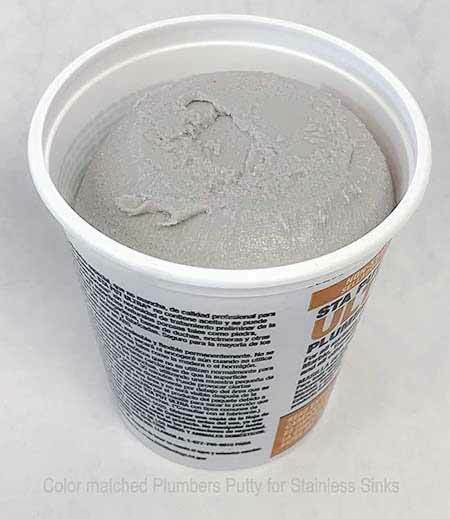 Tone it down a bit with tan plumbers putty. 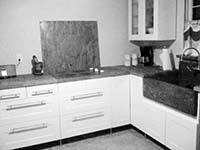 Rachiele is everything you need to create an awesome kitchen! Shop Now!